The midfielder has joined after training with the Ibrox side and could play as a trialist against Brechin. 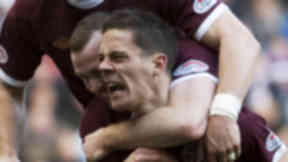 Ian Black has completed his move to Rangers, signing a three-year deal with the Ibrox side. The former Heart of Midlothian midfielder has become the first new face in the Glasgow side's dressing room since Charles Green purchased the Rangers assets from the old company. Black, 27, left Tynecastle in May after lifting the Scottish Cup with the capital team. He previously played with Inverness Caledonian Thistle. A deal was reached on Friday to allow Rangers to have temporary SFA membership in order to face Brechin in the Ramsdens Cup this weekend. Full membership will be granted once Rangers' administrators Duff and Phelps hand over the club's member share of the SPL to Dundee, which is expected to happen next Friday. Black is joined by Northern Irish striker Andrew Little who has re-signed for Ally McCoist’s men. The registration of both players can’t be completed until the club receive full membership but the duo could feature as trialists for the game at Glebe Park. Speaking to the club's official website, Black said: "I'm delighted to be here. The move has been a long time in coming with all the talk there has been in the papers. "About four weeks ago there was a bit of interest shown and after that it was just a waiting game for me. I was really excited to hear the manager was interested in me. "Now I'm thrilled to get the opportunity to come and play here. I had a good few other clubs wanting me to sign for them but coming to a club like this is great. "I had opportunities to stay in the SPL and people might criticise me for not doing that but I want to win things here now. 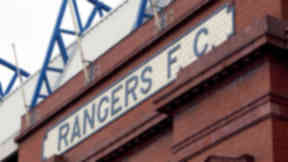 "I know Rangers are in the Third Division but you only get an opportunity to come somewhere like here once. "It's something I wanted to give a shot. Playing in front of big crowds will be great and I'm looking forward to it."